Everybody knows Abe Lincoln! Boy, he was a great man. He was a president,lawyer, dad, and an honest person. 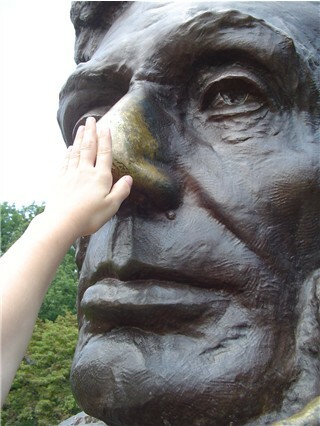 Abe was born on Febuary 12,1809, to Nancy and Thomas Lincoln in Hodgenville, Kentucky. He lived in the Kentucky house for two years! Abe's father was a carpenter and built houses for other people. He also built the Lincoln family's Kentucky house. In 1811, the Lincolns moved to Knob Creek only 10 miles north of Kentucky. Please get in touch with any comments or suggestions for our next vacation.